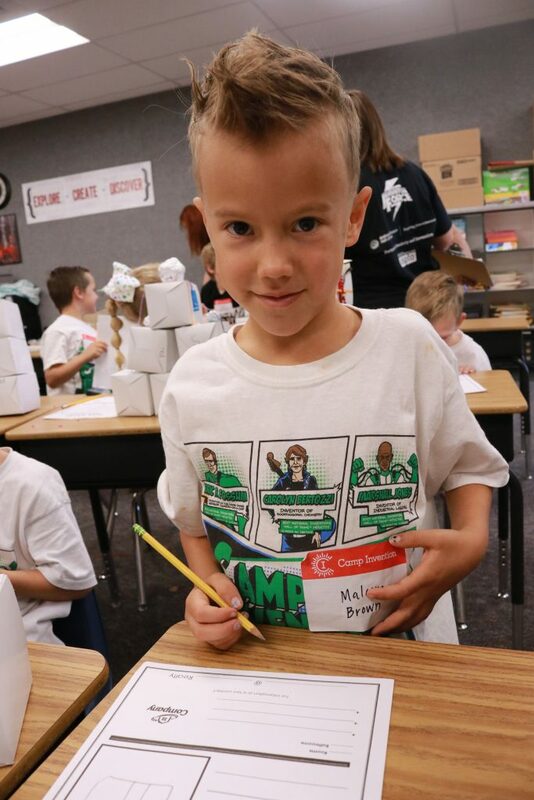 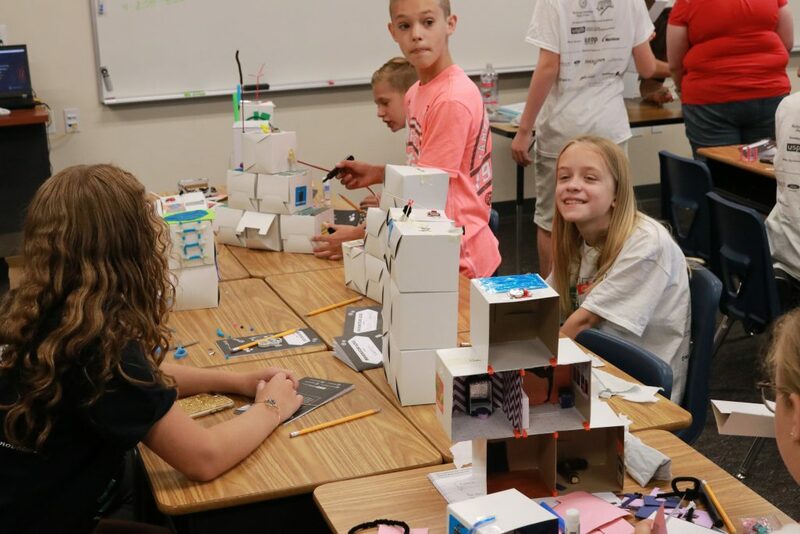 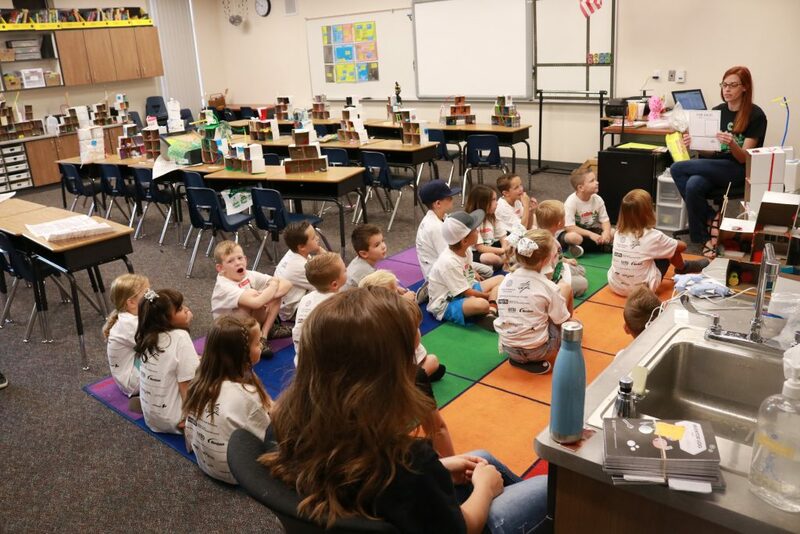 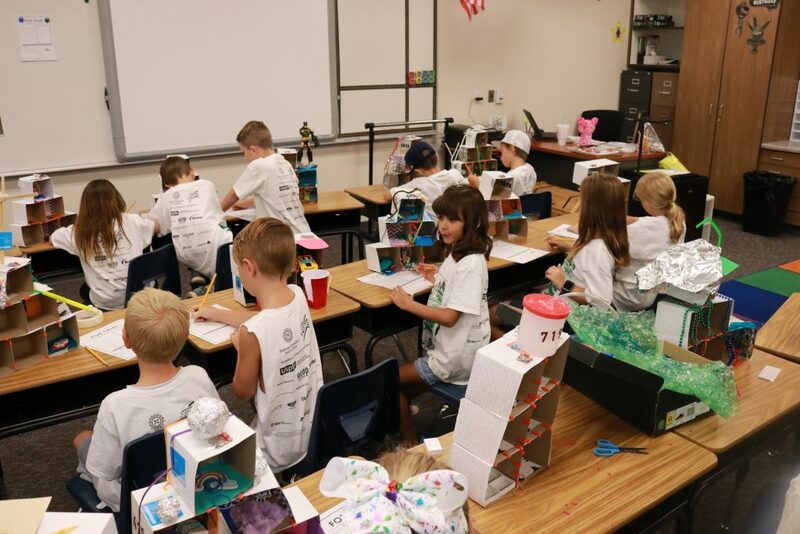 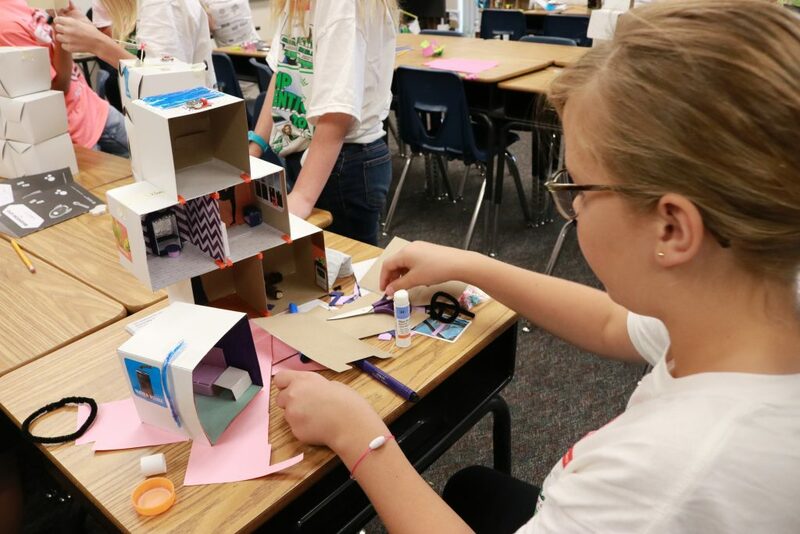 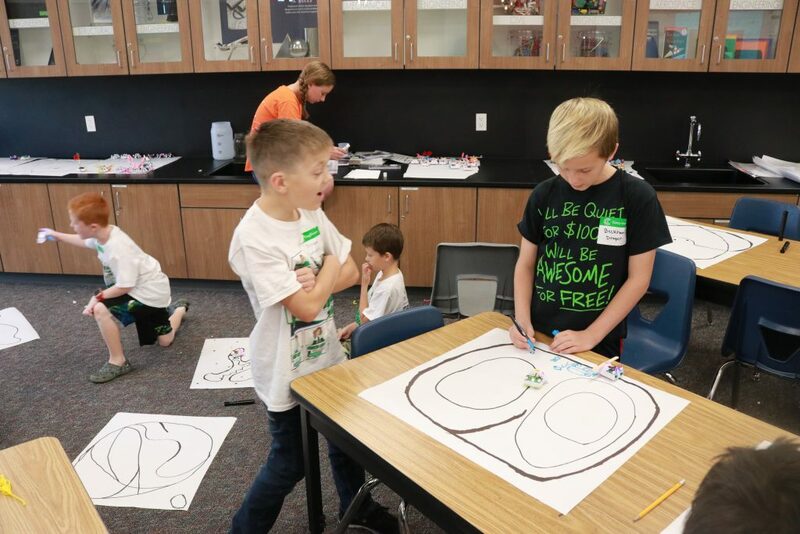 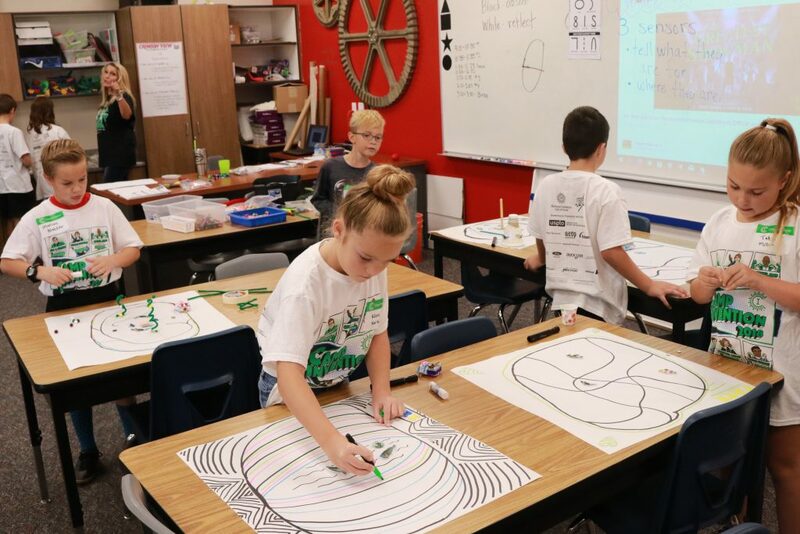 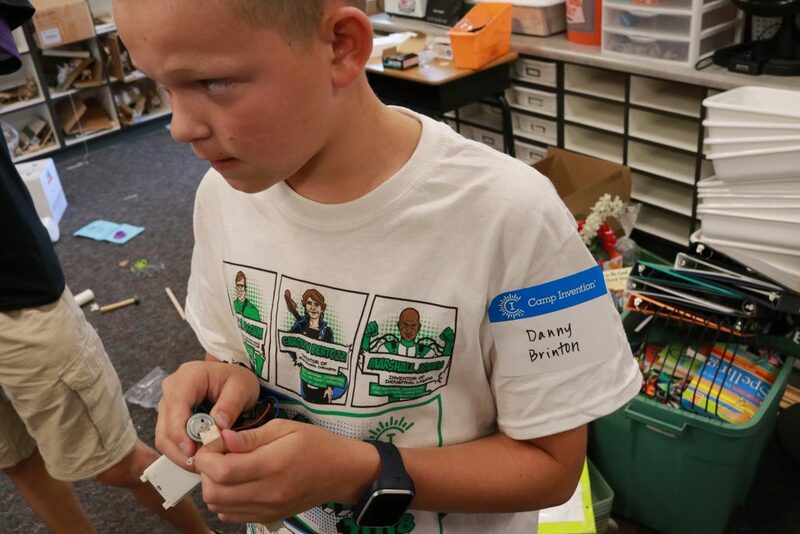 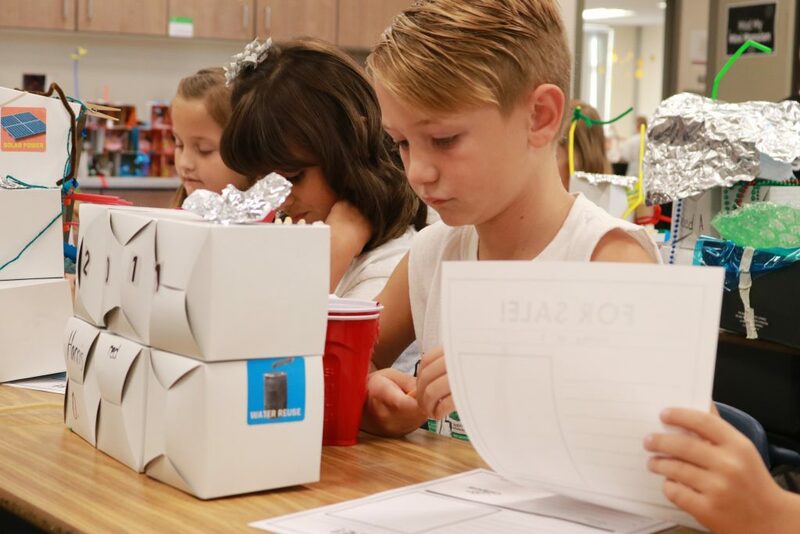 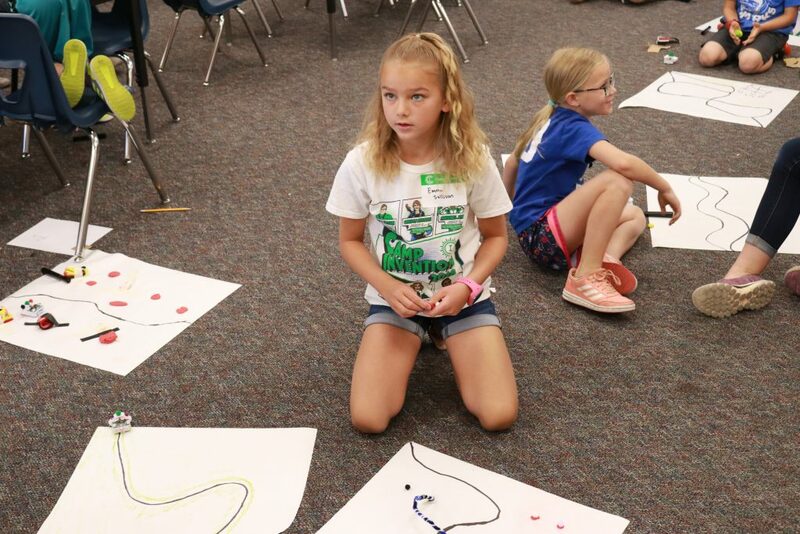 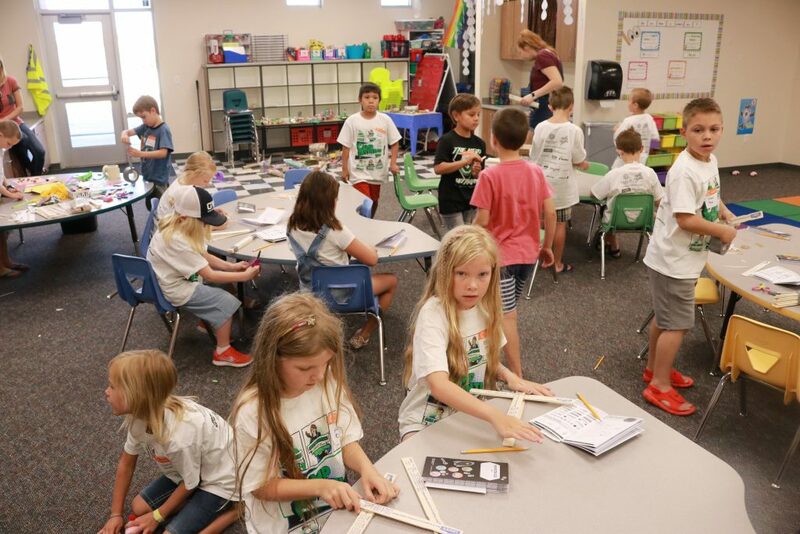 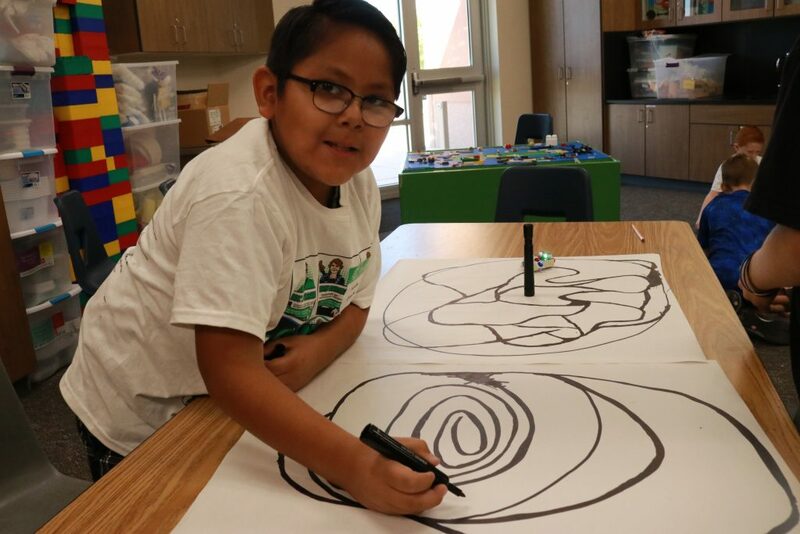 ST. GEORGE — About 150 children in grades K-6 participated in Camp Invention, a weeklong STEM day camp held at Crimson View Elementary in St. George. 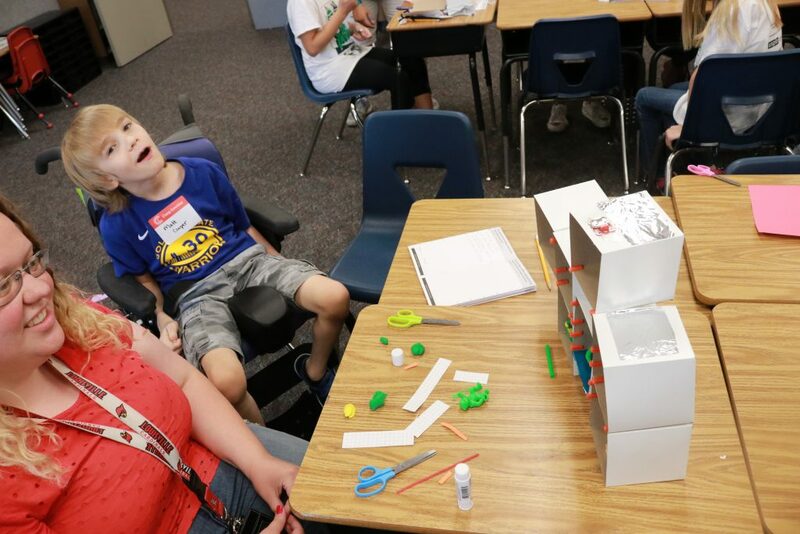 “They get to do all sorts of fun projects,” program director Kristie Rindlisbacher said, who is also a teacher at Crimson View. 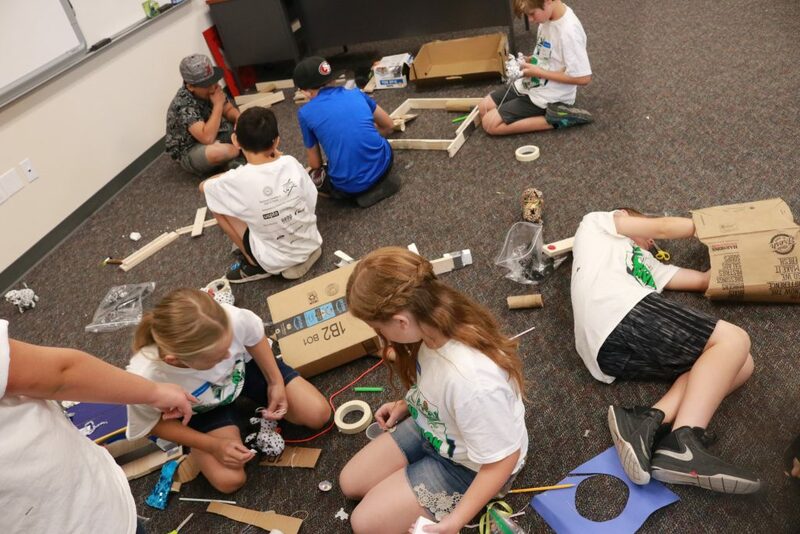 This year’s program featured robotics as a main component, she said, adding that the participants did such things as designing cardboard dog houses for their programmable pet robot animals and drawing courses in black marker for their optical-sensored cars to follow. 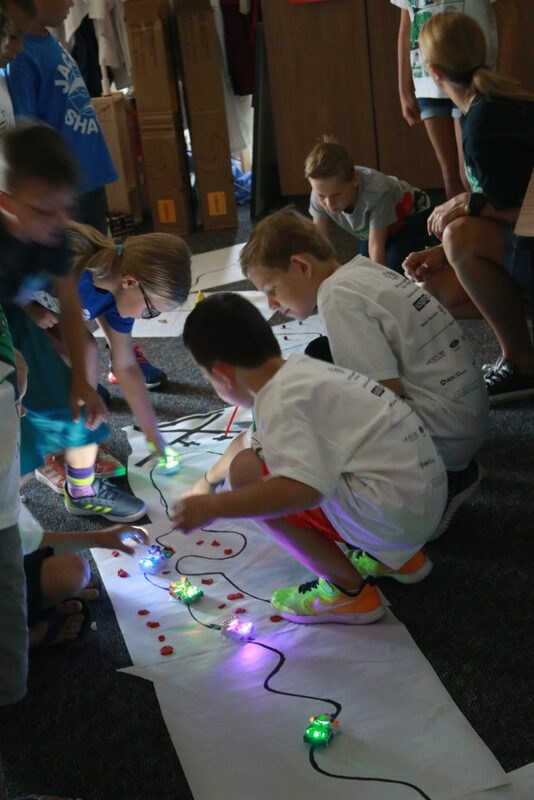 The idea behind the program is to “incorporate as many skills and real life components as we can,” Rindlisbacher said, so that the children can solve problems using their imagination and creativity. 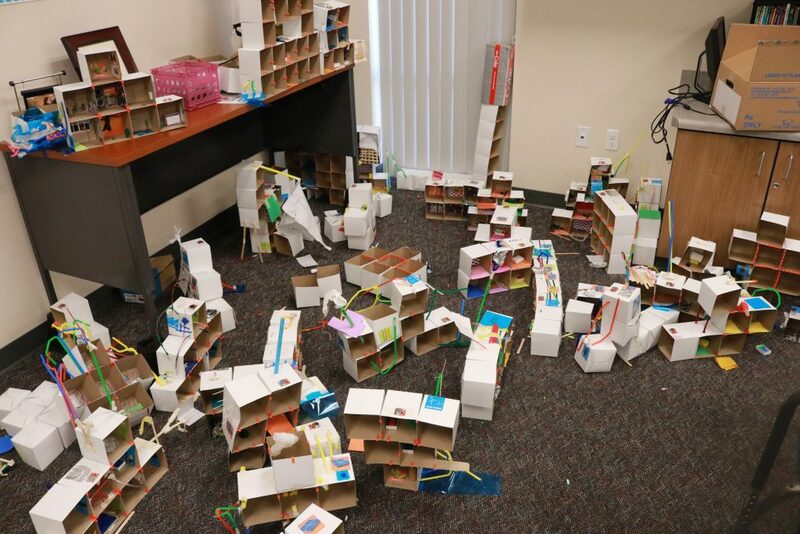 Students also got to build their own “mini-mansions” out of cardboard, scrap fabric and other random materials “upscaled” or repurposed from other sources. 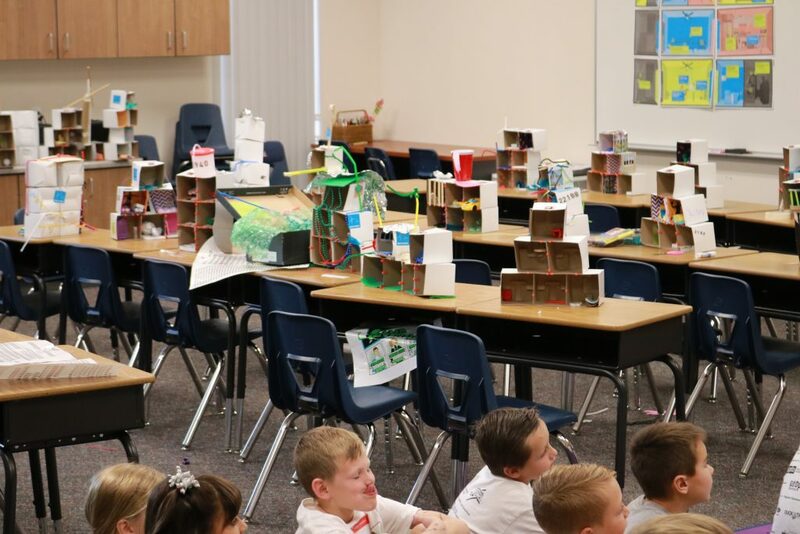 Many had fanciful ideas about their buildings. 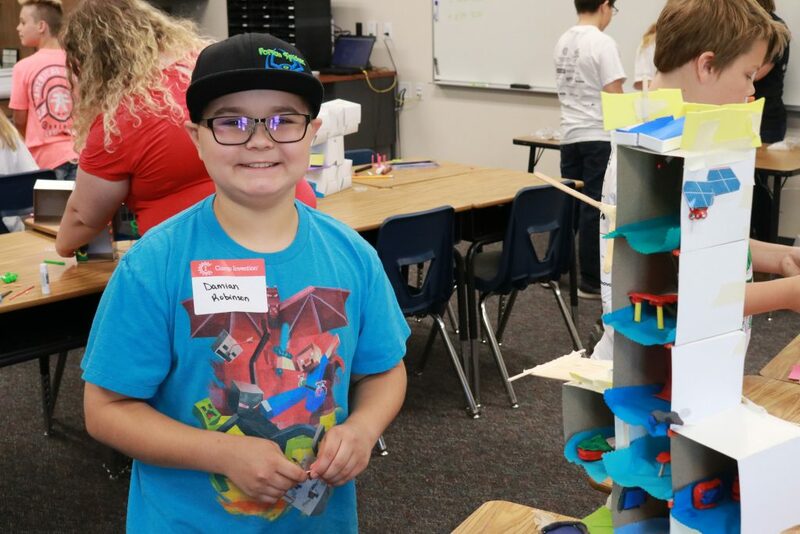 One student, Damian Robinson, said his multistory apartment included a teleportation dock that enabled someone to instantly go to any room in the building just by saying its name. 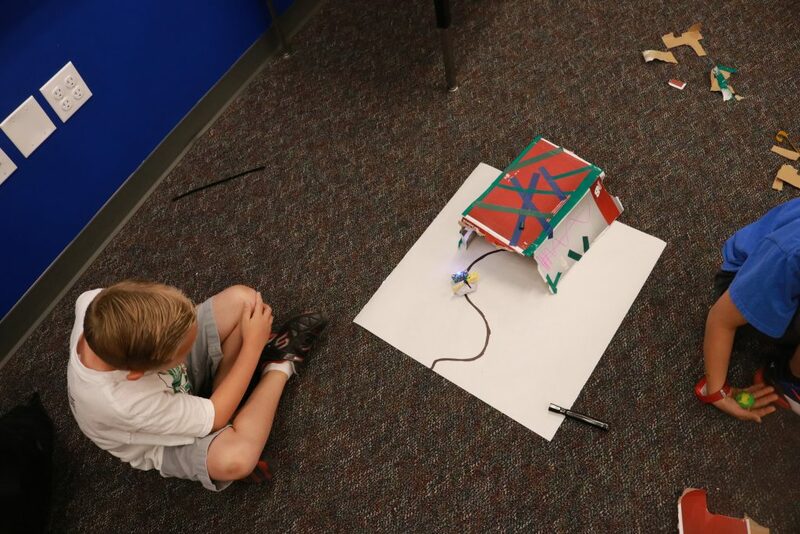 It also had a windmill attached to its side to help generate electricity. 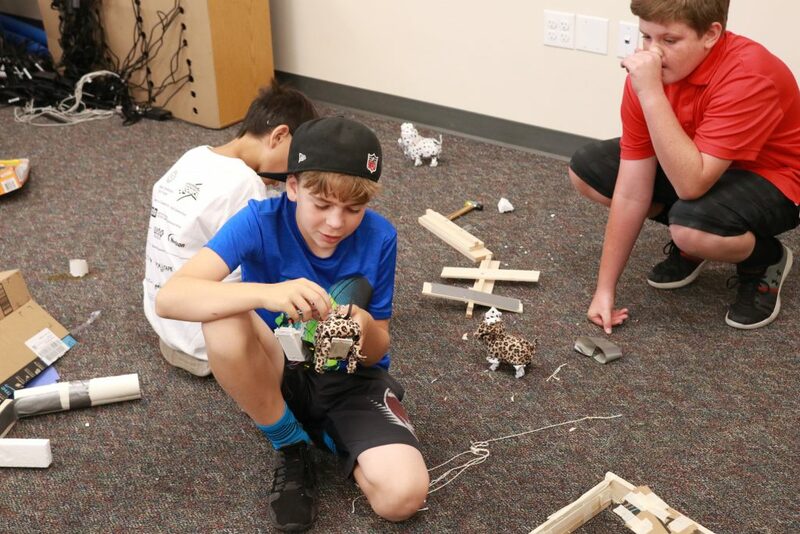 Another student, Danny Brinton, disassembled his robotic animal’s motor and fashioned it into a rotating sander of sorts that could smooth the roughness off a piece of wood. 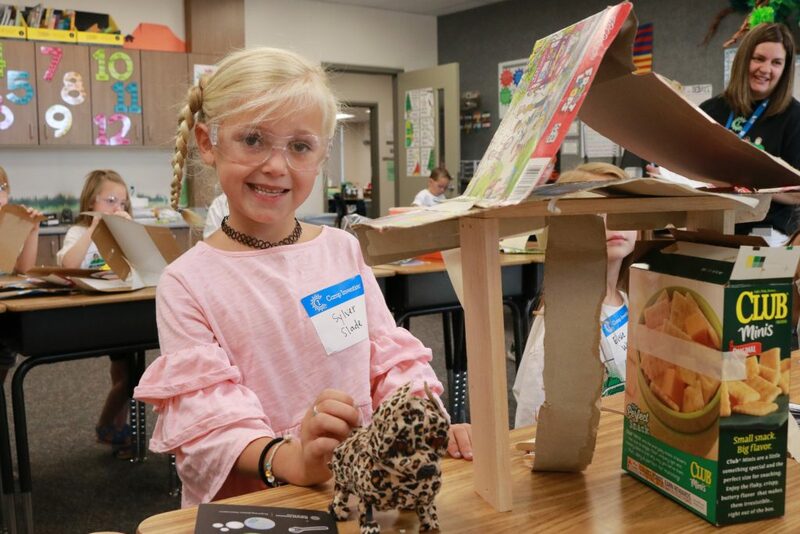 Sylver Slade was one of many participants who made elaborate doghouses for their robotic pets. 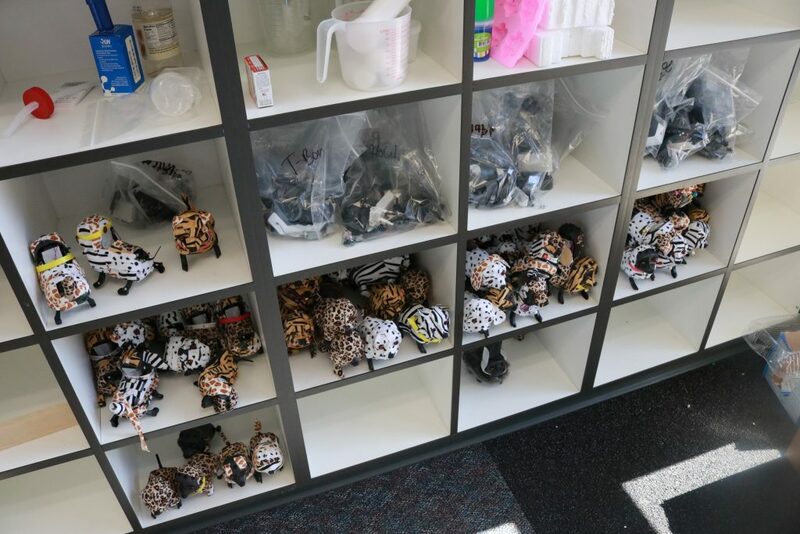 Some of the pets got “sick,” leaving their owners trying to find ways to make them healthy again. 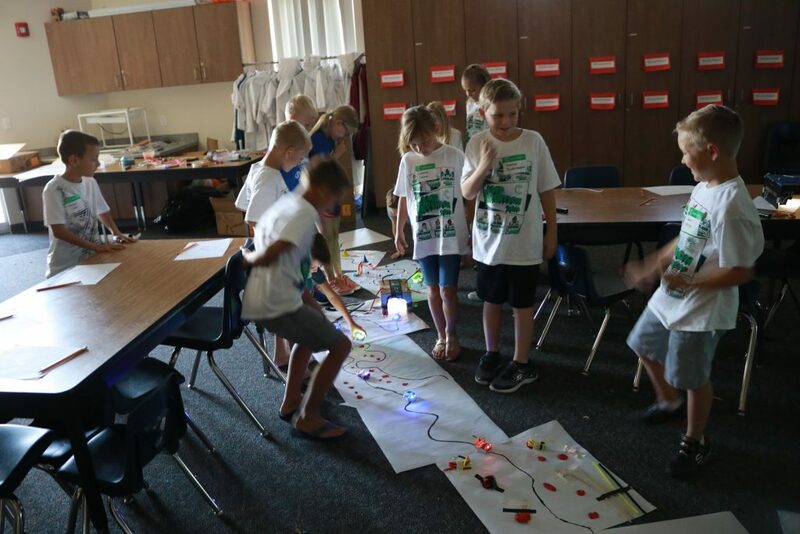 “It’s really fun to watch the kids to come up with a real problem and solution that could work in everyday life,” Rindlisbacher said Friday, the fifth and final day of the camp. 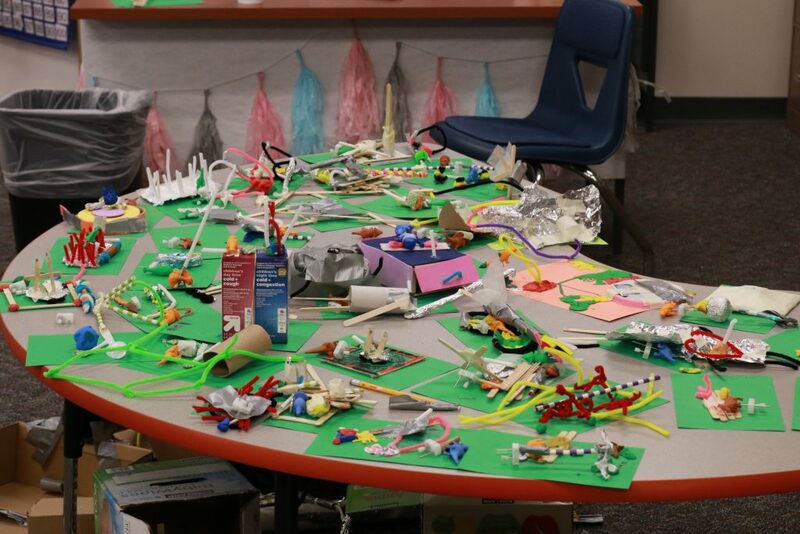 She said the participants got to take home all of their finished projects at the end of the week to show their parents what they’d created. 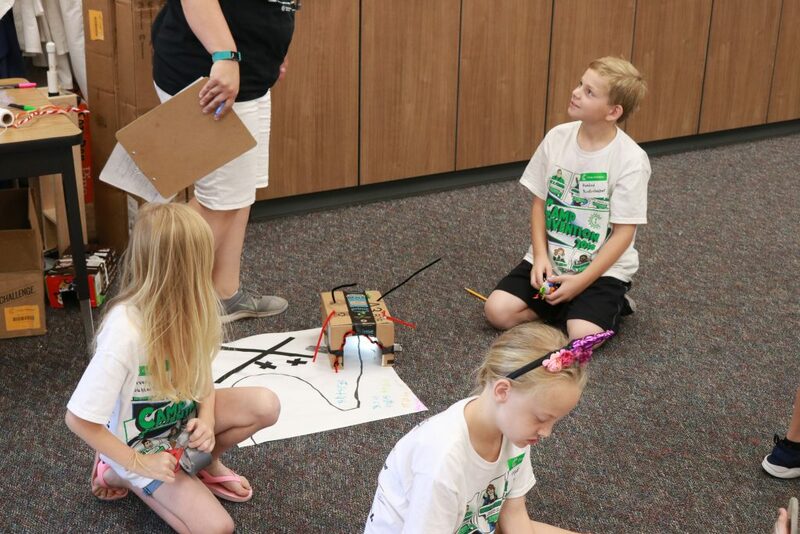 Camp Invention is a nationwide program of the National Inventors Hall of Fame, Rindlisbacher said, adding that the teachers at the camp were certified classroom instructors who were paid and received inservice credits. 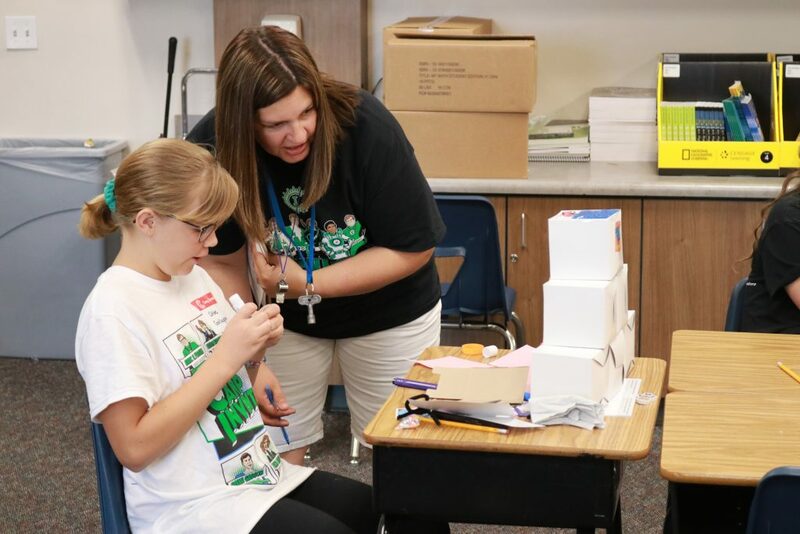 They were assisted by high school-age volunteers. 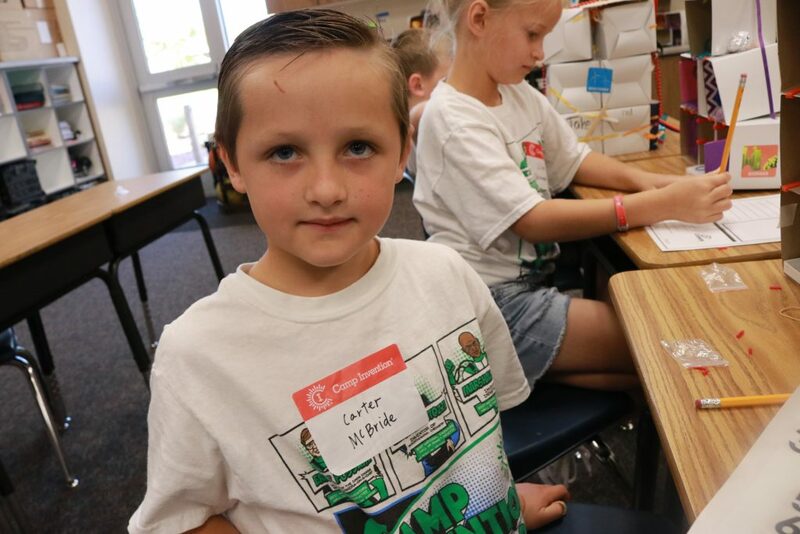 Camp Invention is one of many educational camps offered in Southern Utah this summer. 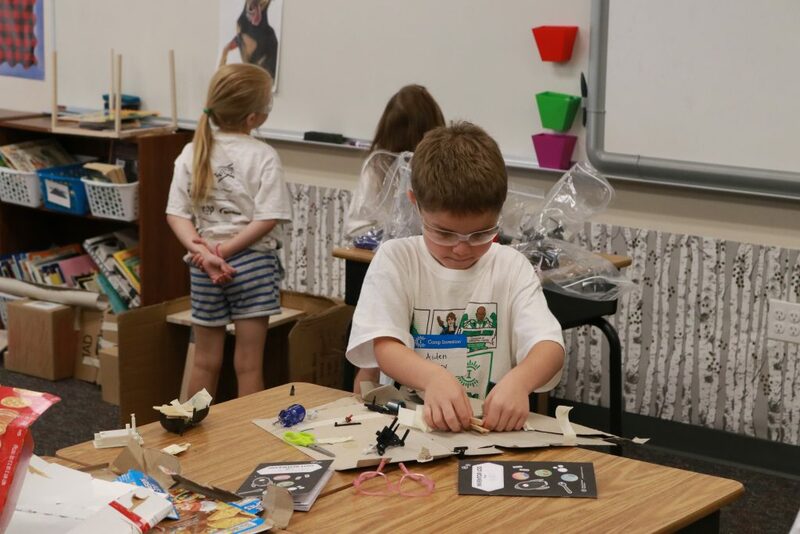 For more information on other similar camps, programs and opportunities, visit the links in the resources below. For a full list of summer camps and 4-H programs available through Utah State University Washington County Extension, click here. 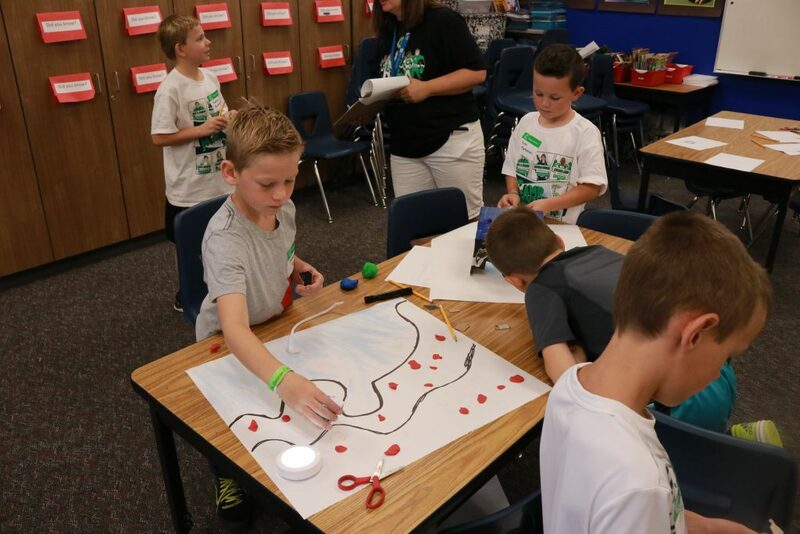 For other summer camps, activities and programs offered through DSU and Southern Utah University, click here. 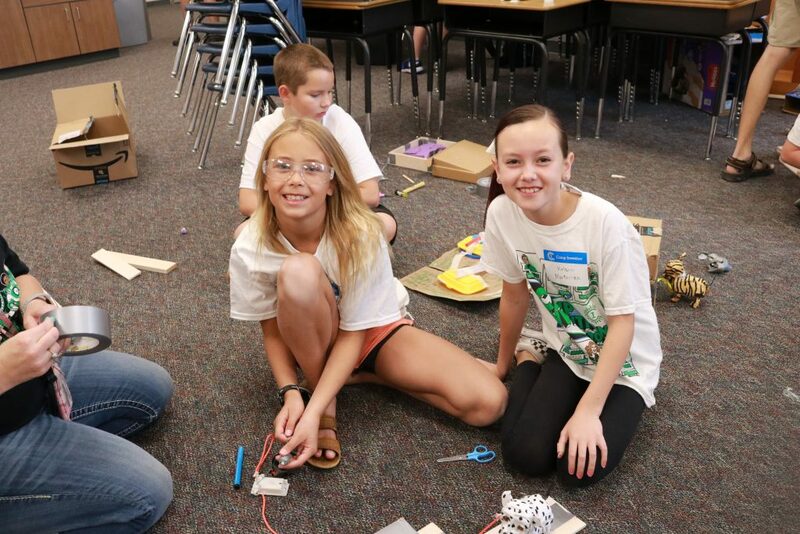 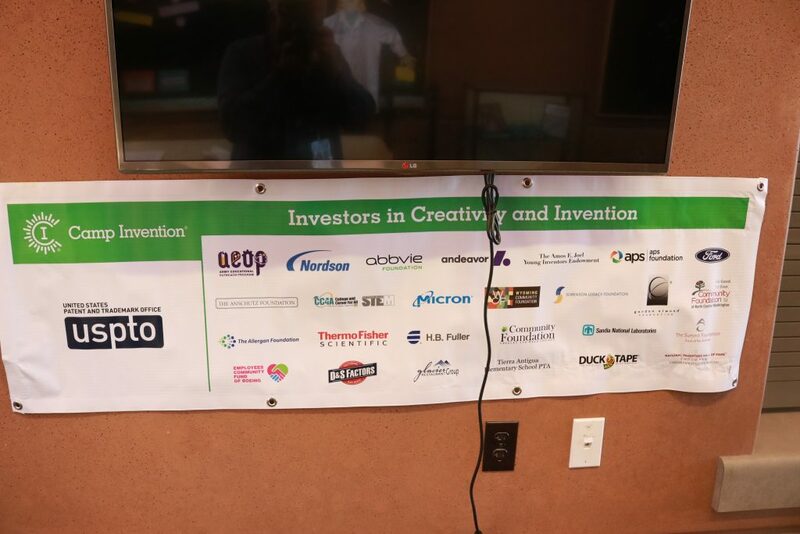 STEM Action Center Utah’s list of statewide summer camps and programs.